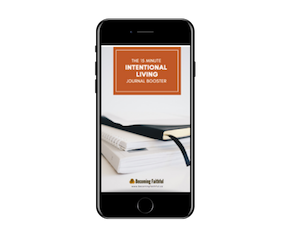 Get the benefits of journaling with only 15 minutes per day! A simple journal framework to follow daily to help you stay focused on your goals and hold you accountable. A detailed 6 step process on how to create space to live a balanced, mindful and intentional life. Go check your email for the free guide! It should be there in a few minutes - but let me know if you have any issues grabbing it.